Last night we started "Nothing is as pretty as a Rizzi City" by James Rizzi. It is the largest single puzzle (5000pcs) we have started. We are working on larger ones, but then all break down into smaller puzzles (4000ish pieces). 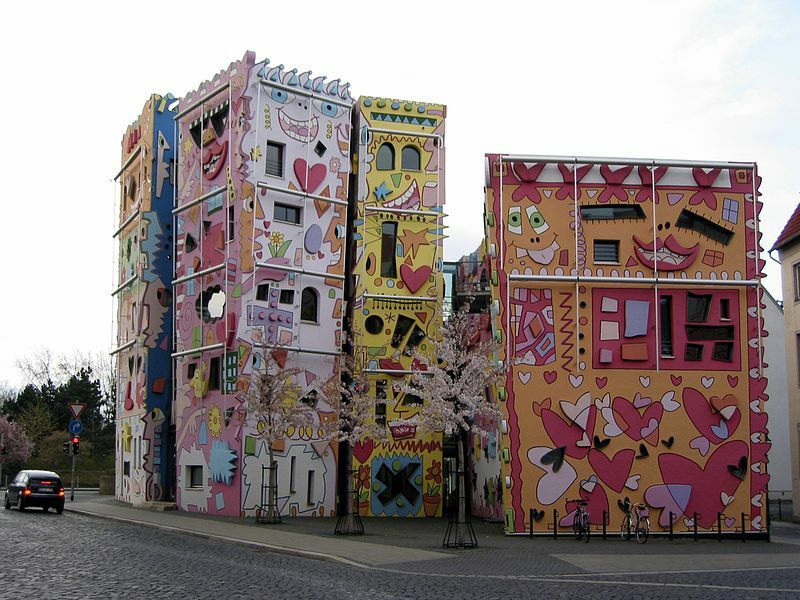 James Rizzi was an american pop artists known for his 3d cityscapes and happy objects. 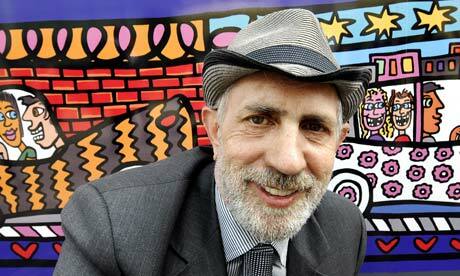 James Rizzi: Oct 5 1950 - Dec 26 2011. 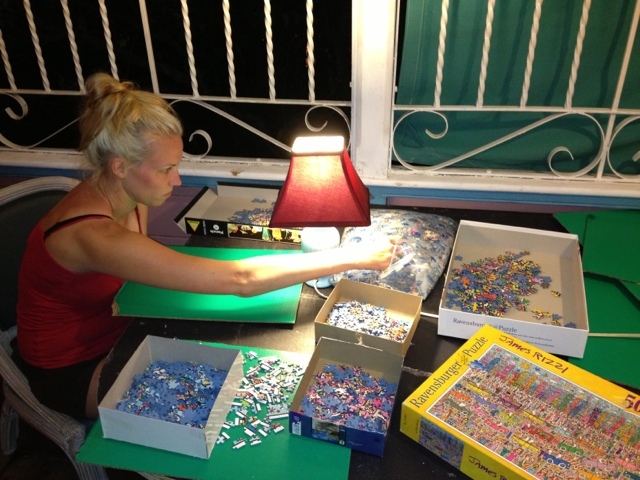 Mercedes started sorting the 5000 pieces on our new puzzle table. Supercool. I'm digging the page.